Russian governors, “even the most loyal” to the Kremlin, as a result of the intensification of the economic crisis, find themselves between a rock and a hard place and are beginning to complain about Moscow’s failure to articulate an anti-crisis strategy which takes the interests of their regions into account, according to Nikolay Petrov. “A clear example” of this, the head of the Moscow Center for Political Geography Research says, was the recent statement by Voronezh Governor Aleksey Gordeyev that the government in Moscow “doesn’t recognize what is really happening in the regions” (daily.rbc.ru/opinions/politics/25/05/2015/5563343b9a79472e7e3ed3e4). This does not mean that Moscow is at risk of “regional fronds” like those in the 1990s: neither the regions nor their leaders have the capacity to make themselves independent actors, Petrov says. “But an increase in the economic and political independence of the regions is inevitable” in the run-up to the 2016 elections. Also “inevitable,” he suggests, are fundamental changes in the regional elites, which have been degraded during Putin’s time in office, because “some of them are not ready for such a turn of events. And they will give way to more effective commands of crisis managers,” in some cases with Moscow’s help and in others despite what Moscow is doing. As anyone who has been following the Russian media knows, governors have been retiring at a rapid rate in recent months, some to put themselves in a position to win back their offices in upcoming elections, others to take new positions at the center, and some because they have proven unable to govern their regions under conditions of economic stringency. But all of these changes, especially over the next two years, are going to affect center-periphery relations in the Russian Federation, not transforming the country into a genuine federal system but making the regions and their leaders more independent because both the regions and Moscow need that at the present time. “Today,” Petrov writes, “Russia if it is a federation at all is more a federation of corporations than of regions,” with the big companies like Gazprom, Lukoil, Russian Rail, and the like “generating and controlling the main financial flows in the country” and in many cases installing as governors their own people. That makes the current situation of regional politics “in part similar to what it was in the 1990s.” But, Petrov argues, “over the last 15 years, regional elites have strongly degraded, the result of both intentional efforts of the center and of negative selection,” something almost inevitable when loyalty counts for more than effectiveness. From his very first days in office, Putin sought to “restore control” of Moscow over the regions. He created presidential plenipotentiaries, chiefs of regional militias, and other federal officials who were installed in regional governments. That worked more or less as long as oil prices were high, but with their fall, it has become a problem and not just for the regions. “The strengthening of the vertical to a large extent occurred at the expense of the weakening of horizontal ties,” something that means that “federal structures in the regions today often coordinate their actions very poorly.” Clearly, Petrov says, Putin’s approach went too far and now there needs to be a correction of some kind. Initially, he points out, Putin sought a solution through the creation of new bureaucratic structures “with extraordinary authority.” The regional development ministry was broken up, and now there are three ministries with specific regional responsibilities. Moreover, Moscow worked hard to increase its direct control of governors. The Kremlin doesn’t need “strong politicians” like Yury Luzhkov, Mintimir Shaymiyev and Murtaza Rakhimov of the 1990s; it doesn’t even want relatively independent ones like those which have been dismissed or even arrested in recent months. But it both needs and wants effective managers, and such people have to have the authority to do their jobs. The September gubernatorial elections – 11 that had long been scheduled and nine more that have become necessary because of changes of cadres – also are affecting this process, Petrov argues. While candidates are still selected primarily for their loyalty, they do need to be able to do their jobs or Moscow faces problems. “The system of administration at the regional level is degrading,” and that has the effect, he argues of weakening “the entire regional pyramid of power,” something that means Moscow is forced to intervene when it really doesn’t want to and would not have to if there were stronger people in office. 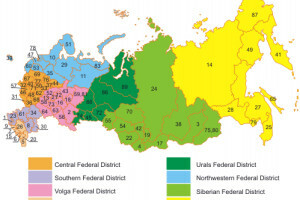 “This degradation,” Petrov concludes, is especially dangerous in view of the fact that the center of gravity is inevitably shifting to the regional level.” The governors will play a major role in the 2016 Duma elections, and if they don’t have the resources they need, they will inevitably weaken the federal center in order to do what Moscow wants. That in turn, Petrov says, will “create the preconditions for a new strengthening of the regions” and of those who head them.